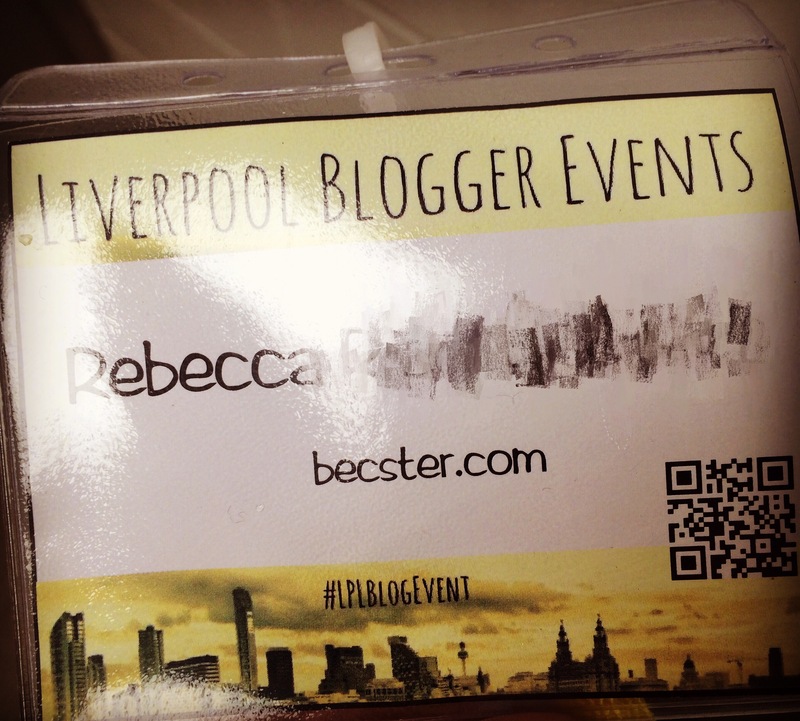 On Saturday I went to the Liverpool Blogger Event which was organised by the wonderful Jenny! I was so pleased to have been kept in the loop about this event because Liverpool is so close to me (in comparison to Cardiff) – it took me between 1.5 – 2 hours to get there which was half the time and the whole round trip to Liverpool was half the distance of Cardiff. 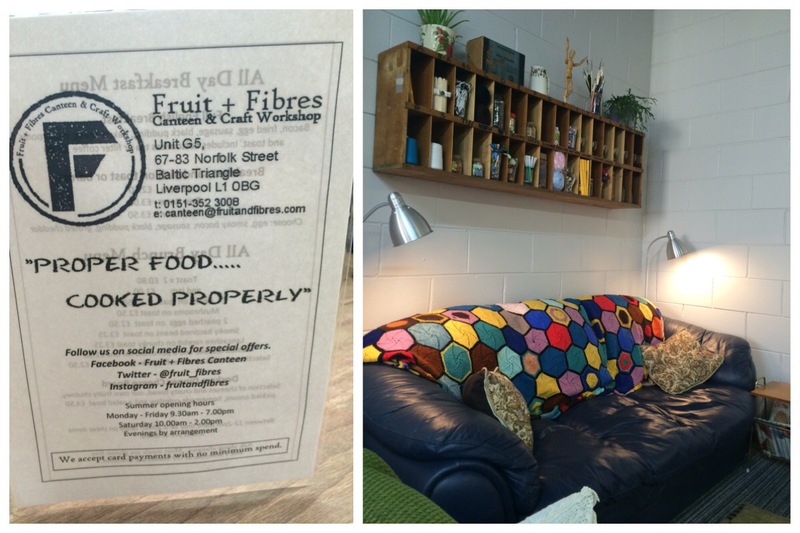 After my sat nav tried to take me to Birkenhead I managed to ignore it and found my way to the Fruit & Fibre Canteen & Craft Workshop, Norfolk Street, Liverpool. Such a lovely little place – it’s a cafe/craft workshop so you can sit and have your cuppa and do your cross stitch (for example). 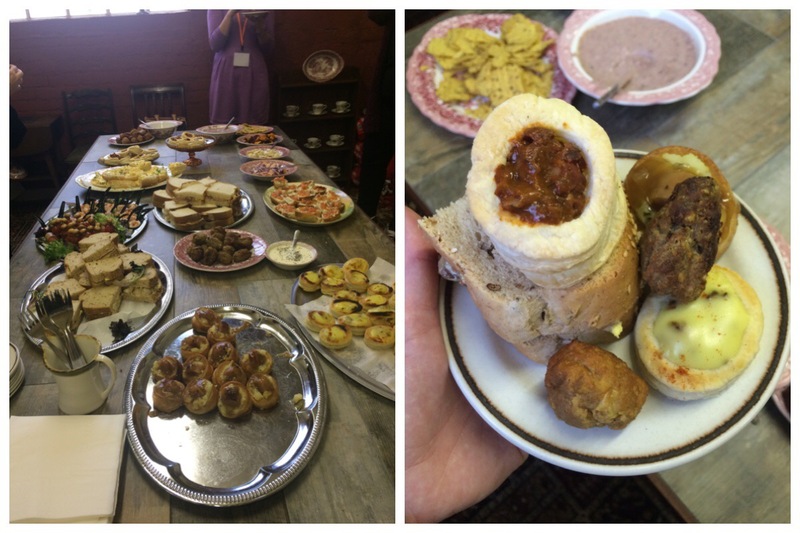 The venue provided food and there was a lovely selection. There was a selection of meat stuff, fish stuff and vegetarian stuff. I avoided the fish stuff but tried the veggie stuff. I forget what the individual items were but all you need to know is that it was yummy! Whilst eating I got chatting to the owners and they said that any leftover food that they have at the end of a working day they take around the local homeless shelters. Such a fantastic idea! Jenny also had a fab idea of setting up a donation table where we would bring things in that we no longer need and fellow bloggers could buy and all monies would be donated to a charity. There were also raffles and all monies from the raffles tickets was also donated to charity. The charity of choice for the day was The Choir With No Name and I believe that £185 was raised in total. Andrea – MyShowcase – she explained how MyShowcase is a brand that empowers female entrepreneurs by showcasing their products and getting them out there for people to see. 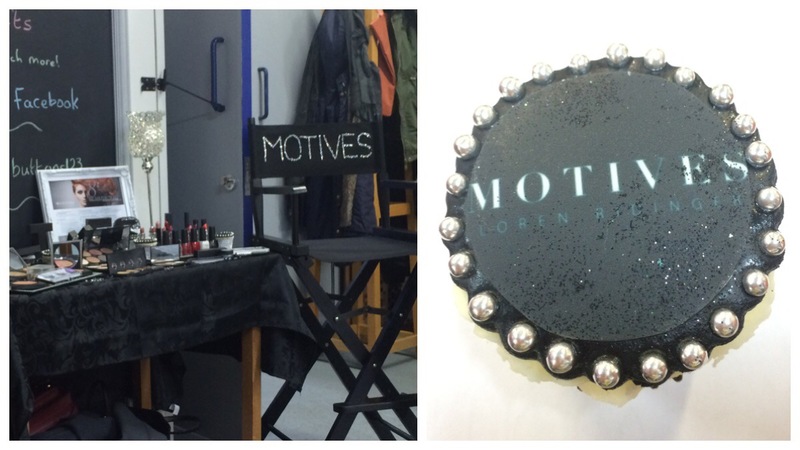 There was a lot of beauty stuff on show but also a lot of gift type stuff. I especially loved the little see through airplane bag so you wouldn’t have to keep taking out your toiletries etc from your hand luggage when passing through security! Sally – Taking Shape – They’re an Australian brand that celebrate our curves! 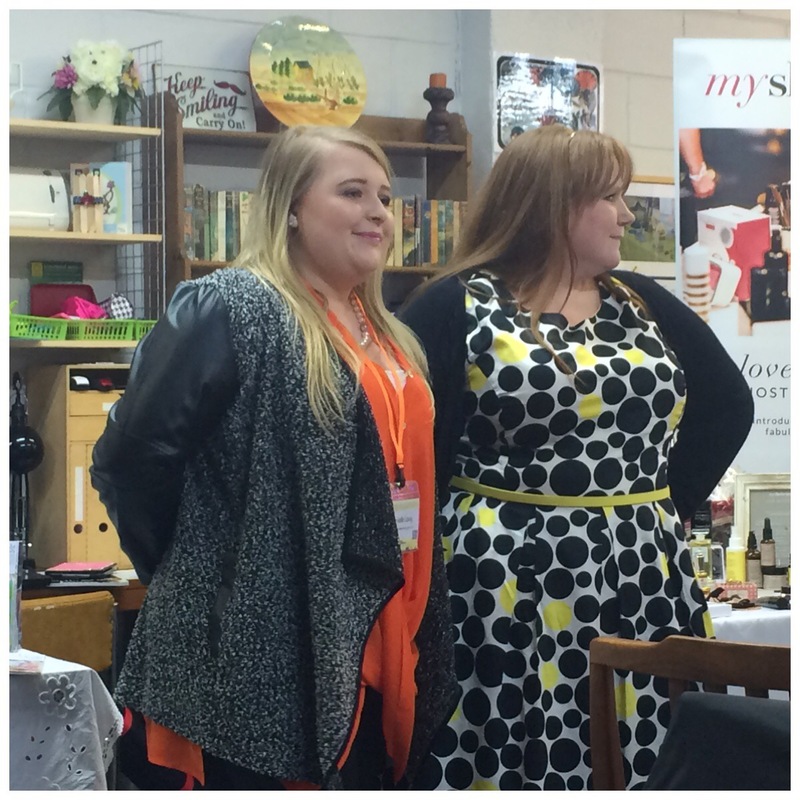 They carry sizes 14 to 26 and as modelled above, Taking Shape have some really nice clothing. I’ve yet to have a look at their website but I love the black & yellow dress above. 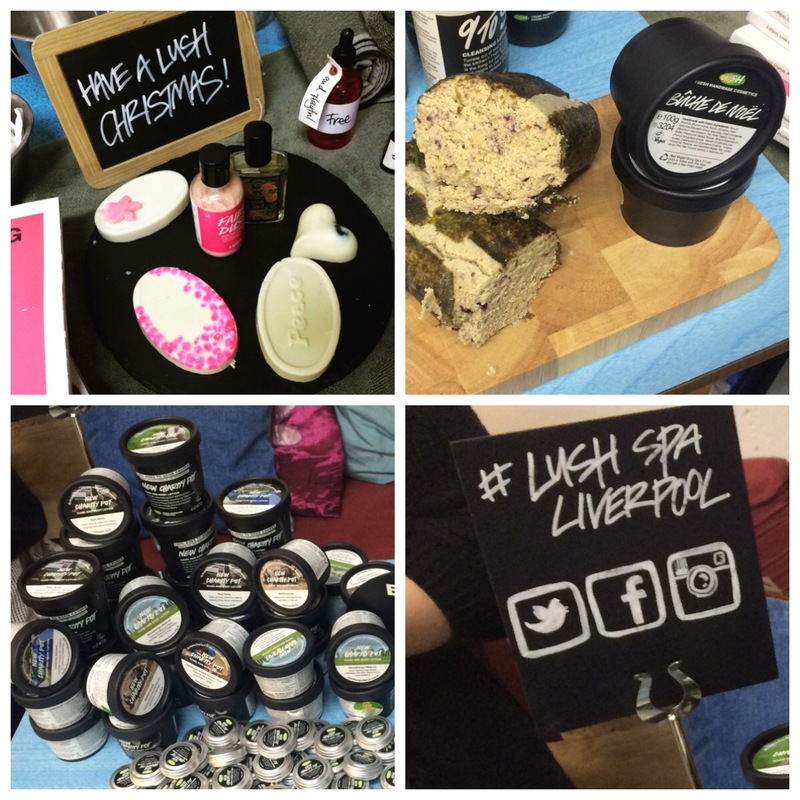 Jonathan & Megan – Lush Liverpool – they had setup right next to the table I was at and oh my god the smell was just heavenly! I always love walking down Chester high street because you can smell Lush for miles! Honestly, they should bottle the smell and sell it as perfume! 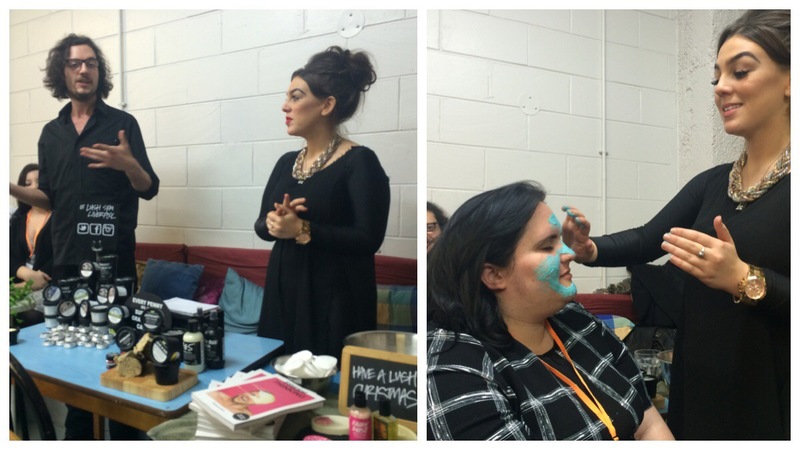 Anyhow, they explained about the Lush Spa – who knew that Lush had a SPA?! I didn’t but it’s certainly something I’ll look into! Jonathan explained about the Charity Pots that they were selling and how monies from these pots go to help a selected charity (The Choir with No Name). He also explained that all of Lush’s products are sourced from ethical resources. 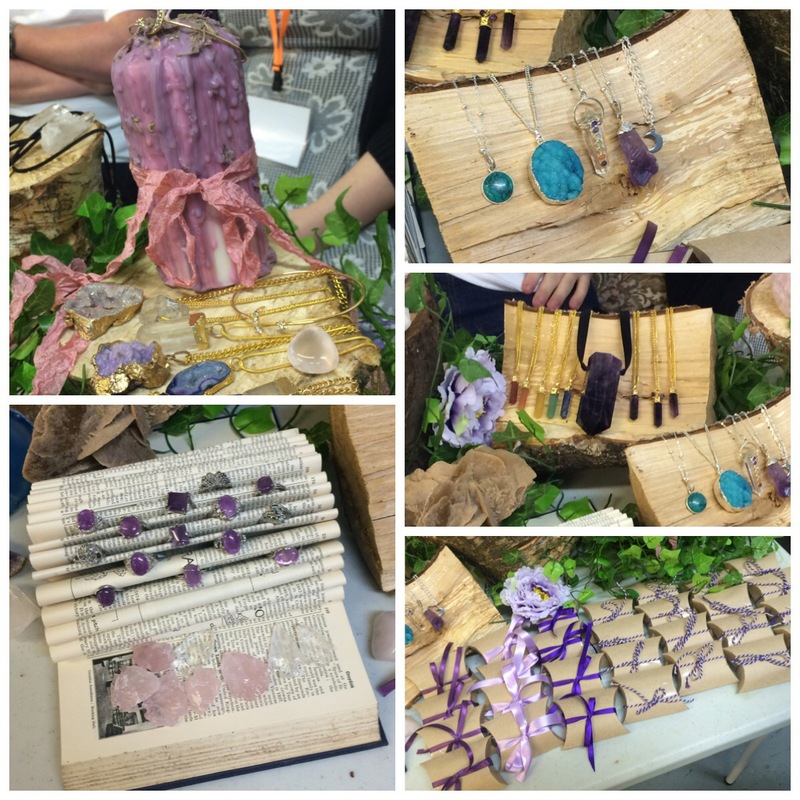 Brittany – Noctua – there were some stunning items on Brittany’s stall and I’m kicking myself for a) not buying a crystal pendant which had 5 other crystals inlaid in it and b) not taking a better picture of the necklace! She explained that at 19 she started her own business and now has a shop in Liverpool selling these beautiful items – which are made by her. Brittany gave us a workshop on how to make a bracelet. Beforehand we all had to choose a colour (and of course I chose purple – did you expect anything else?!) and Brittany had then made everyone a small box with beads in ready for the workshop. In all honesty, this had to be my favourite part of the day! It was a bit fiddly to start with but you soon got the hang of it – I think being a cross-stitcher helps as I’m used to threading needles. Beforehand I only knew Anca so I was so happy to finally meet her! 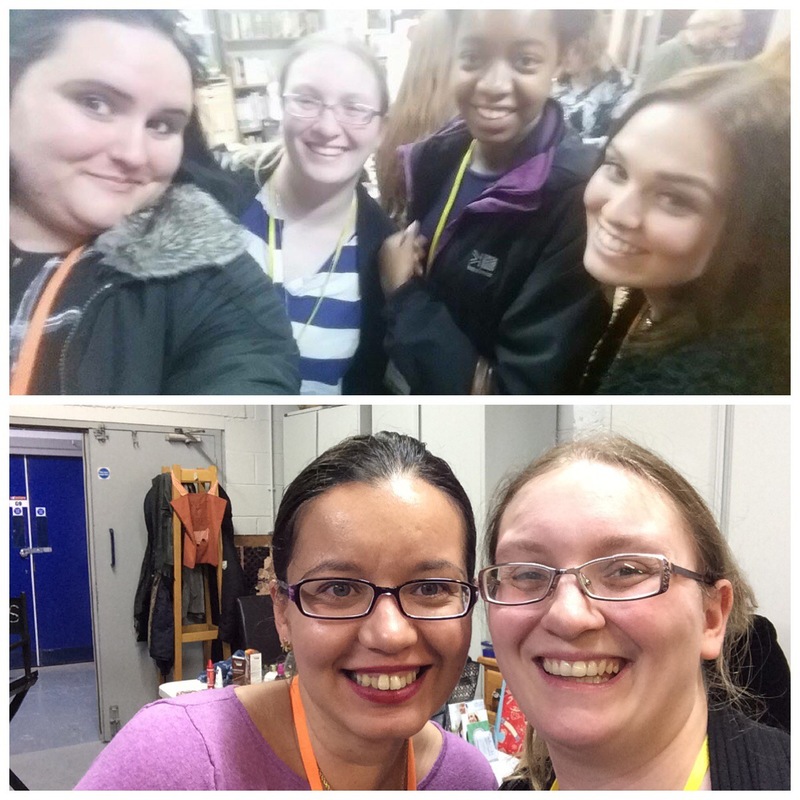 I also met some other awesome bloggers there namely Sam, Steph, Alisha and Alicone. Oh and I almost forgot, look at the super cool nematic lanyards that Jenny had provided us… came with a QR code and everything! It was so lovely to meet you! Blogger events are always so much fun and i’ve gotta say that the bracelet making was my favourite too! It was lovely to meet you too! 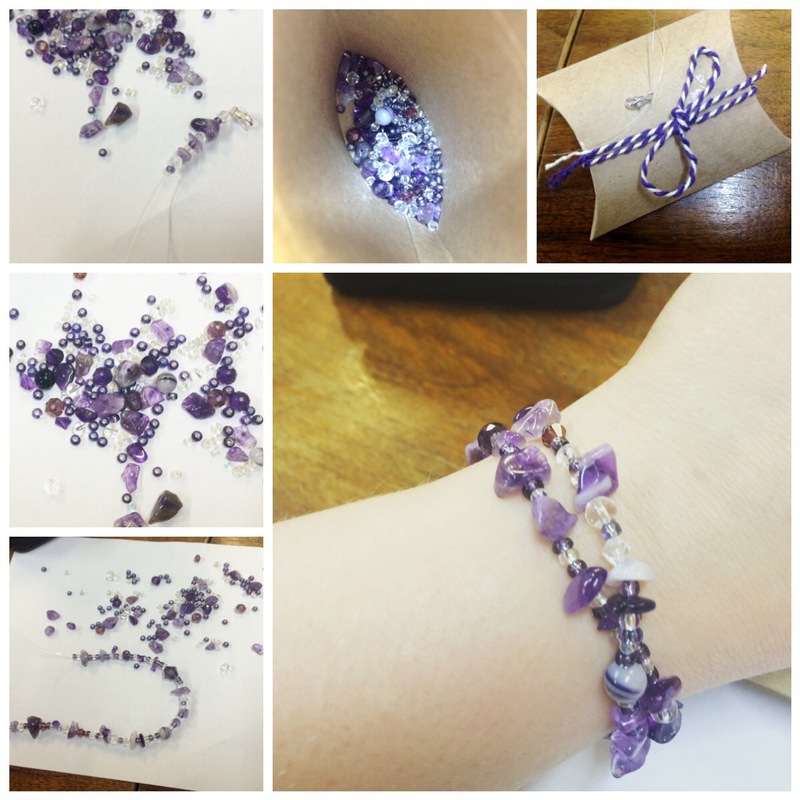 The bracelet making was such great fun… despite the fact I nearly dropped mine midway through!